In which literally every character in Dazzler: The Movie is the absolute worst; Beauty and the Beast is secretly kind of awesome; Ann Nocenti is an editorial war-bard; Rachel issues a hat-related retraction; and we would read the hell out of Tales from the Heartbreak Hotel. NEXT WEEK: Rock’n’Roll Annuals… IN SPACE! ART CHALLENGE: Join us in a world where Beauty and the Beast spinoff Tales from the Heartbreak Hotel is a real, published comic–and send us your fan-art from that series! Shooter really seemed to be trying to bring back romance comics in a stealth way in the mid-’80s. Not only did Dazzler evolve into a romance comic disguised as a superhero comic, but the Vision & the Scarlet Witch series by Steve Englehart (1985-6) was so completely a romance comic in writing and art that one of the issues was actually titled “Mutant Romance Tales.” Artists like Springer and Richard Howell were definitely drawing in a style more associated with romance than superheroics. There’s something to the idea of trying to bring back those genres (and the readership associated with them) in a superhero-dominated line, but by the ’80s Shooter had become such a creepy and weird writer that he was definitely not the guy to do it. I do think the approach kind of lives on in stuff like Slott and Soule’s She-Hulk comics, which are single-woman-lawyer comedies with some punching. Also, didn’t Beast basically have a different voice when he was in the Avengers in the 1970s? The in-story explanation was that he felt inferior on a team where there are so many other super-science geniuses, so he just dedicated himself to being Wacky Fun Guy, and the writers pretty much forgot he used to use a lot of big words. Maybe this is what Nocenti remembered? Kinda. The Beast in the 70s-80s Avengers was kind of wisecracky and slightly on the Spiderman scale of wacky. He was effectively Spidey’s stand-in, usually depicted as hanging from the ceiling and such. But otherwise he just dropped using excessively long words when unnecessary and got more jovial. That change started with his solo stint, but continued into the Avengers. 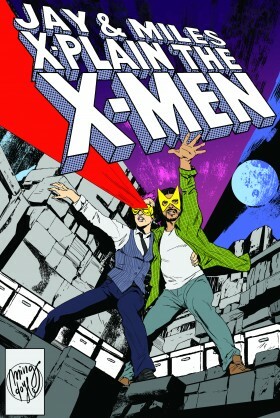 Claremont maintained that version in Marvel Team-Up and X-Men. Oh. My. Goodness. I laughed SUPER hard – out loud and everything. I’m SO glad I work alone, or it would have been REALLY awkward to explain to people what I was laughing about. AMAZING. This might be apocryphal, but I have read a few times that the change from black to blue fur was less an in universe change, originally, and more a coloring issue everyone forgot about. Because black stuff in comics, back in the day, had to have highlights filled in a non-black color, and blue was typically used as the stand-in. Then, over time, people forgot that the blue-highlighted stuff was ever meant to be black, and it became blue in-story. The two examples of this I have seen mentioned are Beast’s fur, and the blue bits of Spider-Man’s costume. I’ve noticed that Spidey’s costume has gone back and forth between red/blue and red/black, depending on the colorist and the decade. McFarlane, for example, seems to be more a fan of the red/black Spidey costume. In my head, I hear all of Alexander von Doom’s lines as read by Crispin Glover. I love Nocenti’s work. It always saddened me that Frank Miller’s Daredevil became the definitive run when Nocenti’s was so much more interesting. Not that Miller’s DD wasn’t fantastic but Nocenti’s, with Romita Jr. on art, is so strange, both to read and to look at, and so smart. I’m sure you guys are aware of it already but if you haven’t seen the Comics In Focus: Chris Claremont’s X-Men documentary you’ve gotta check it out. Most of it is interviews with Claremont but there are bits with him hanging out with Nocenti and Louise Simonson, all being interviewed together, and those parts are absolutely delightful. We have–we actually covered it at some length in Episode 8. Woops, I remember that podcast now. My first exposure to Nocenti was easily some of her run on Daredevil. Back when I was really into early 90s Marvel, I wanted to find out what this “Acts of Vengeance” thing was – I mean, we had a Cosmic Spider-Man, Magneto vs Red Skull, and so many other messed up things. And then Daredevil fought an Ultron who was suffering from an existential crisis and falling in love. All because Doom wanted to get rid of Daredevil in the crossover. It was kinda awesome. I know what to see a revival of Masterpiece Theater with Dr. Doom doing the introductions. Actually, I have a theory that that any story can be improved by a Dr. Doom reveal. And I’m not even going to limit that to comics either. I keep thinking Dr. Doom Bible Stories would be a best seller. Meanwhile, Doctor Doom wonders why he has a rather large payment from Trinity Broadcast Network showing up on his income. Apparently, Spare Doombots can be used to host documentaries and TV shows that the Lord Doom would find beneath his notice. …I think this is now my headcanon. Doctor Doom also voiced the 616 version of March of the Penguins. “THERE ARE FEW PLACES HARD TO REACH ON THIS PLANET. HOWEVER, THERE ARE NO PLACES WHERE IT IS HARDER TO LIVE, UNLESS YOU ARE REED RICHARDS. TO KNOW THAT DOOM WILL ALWAYS BE SUPERIOR MAKES THIS WORLD A LIVING HELL FOR HIM, AND THE DAMAGE HE HAS CAUSED TO HIS FRIENDS AND LOVES ONES HAUNT HIM FOR ALL ETERNITY. SO SAYS DOOM. 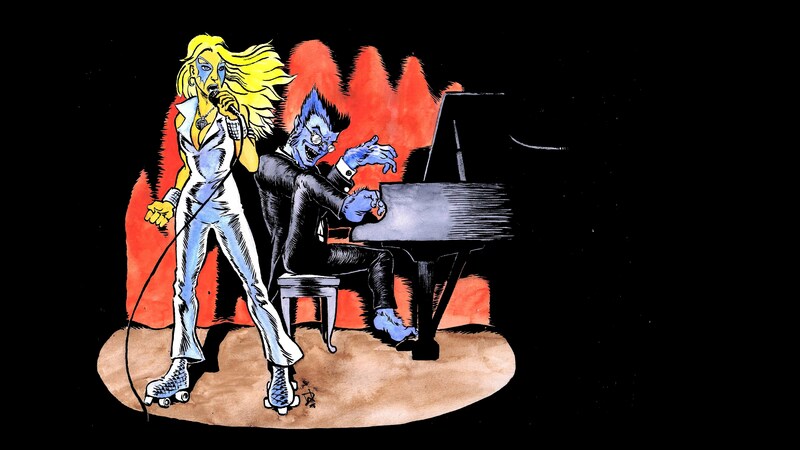 Given the people involved and the era in which it was happening, I can only imagine that preproduction on the Dazzler movie ended when it was crushed under a giant mountain of cocaine. I suspect you’re talking about the X-Factor Special “Prisoner of Love,” from 1990. That would be it.Thank you Elle. Finally able to prove a memory (if that makes sense). So, was that Emplate or not…? I don’t believe so. I never read Generation X, so I can’t really speak to the resemblance. Yes, I’m Elle from Into It (the Boom Boom avatar should be the giveaway). I’m glad you’re enjoying it. 1) Thanks for this episode. I love Dazzler, though I wish you could have covered Dazzler’s relationship with a pre-X-men Rogue, and her training with Cyclops. 2) I ship Beast and Wonderman hard. HARD. 3) I wrote about Dazzler and the use of sound in comics, here: Blinded By the Sound – Light & Sound in Comics. This is the first podcast to cover a topic I had previously never even heard of. Goddamn, I want to live in the reality in which that movie was made.